Darn, too slow! This BRNO/CZ has already gone! cz17hmr american.. 16in barrel. 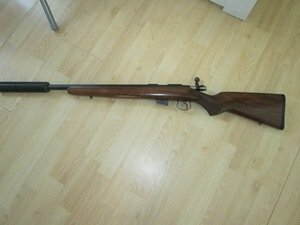 very good silencer, actually quiet for a hmr.. shoots well, just not getting used, would do a deal with a 20/12 bore.or a .22rimfire (slot for gun and mod ready on my ticket).